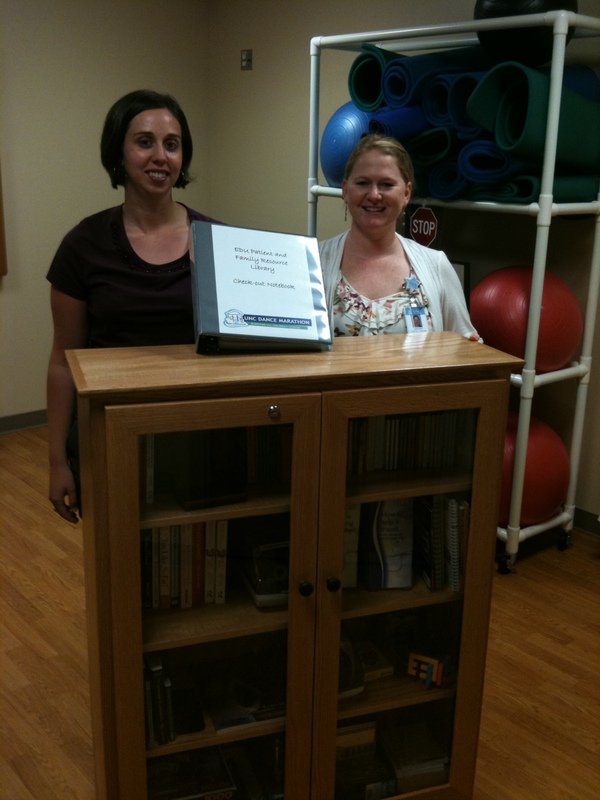 The Eating Disorders Patient and Family Resource Library is the latest addition to the UNC Eating Disorders Program. The library should prove to be a valuable resource for both patients and their families. The resources available in the library were provided by grant funding through the UNC Dance Marathon organization. Kelley Marrale, Recreational Therapist and one of the library’s creators, hopes that the library will provide patients and their families various resources to provide additional support throughout the recovery process. Some of the resources available in the library include support books geared towards patients or family members, relaxation CDs, including both music and guided relaxation, and even puzzles and games that can be used for positive distraction from the stresses of recovery. It is an organic resource that will continue to grow and provide program participants encouragement and hope for recovery. Just like a regular library, an item must be checked out by either one of the Recreational Therapists on staff or by the family’s social worker. The staff member will then fill out a check out sheet that shows when the item was checked out and by whom. The item can then be returned when the patient is ready to do so, and before the patient leaves the program. 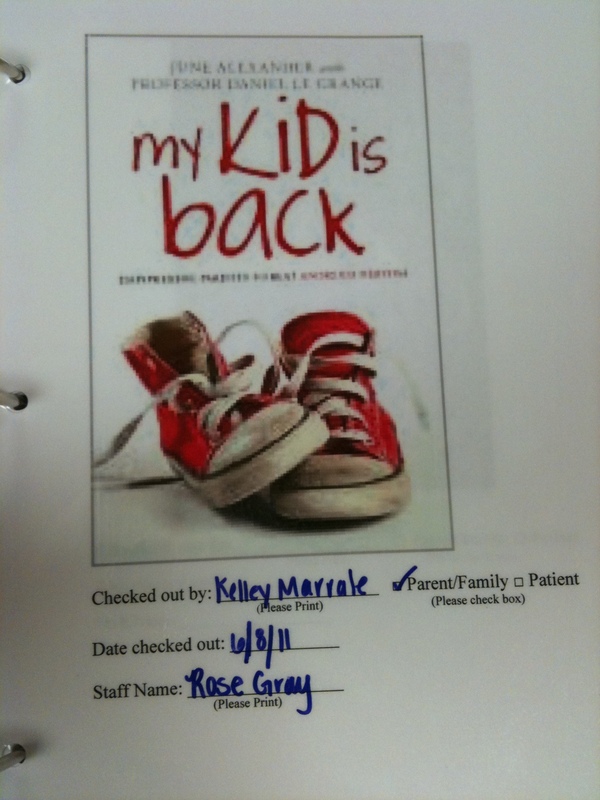 Each checked out item is coupled with a review card that can be filled out anonymously, allowing patients and family members to rate their experience with the library and comment on how it has been beneficial to them. Kelley and Rose Gray, Recreational Therapist and another of the library’s creators, will compile these evaluations and provide evidence to the UNC Dance Marathon Grant committee of the positive impact the grant has had the Eating Disorders Program. The program accepts recommendations of books and other resources to add to the library. All recommendations will be reviewed by staff of the Eating Disorders Program prior to inclusion in the library. If you would like to recommend books and other resources, please contact your recreational therapist, social worker, or contact Kelley Marrale; Kmarrale@unch.unc.edu or Rose Gray; Rmgray@unch.unc.edu . The Eating Disorder Patient and Family Resource Library will be open for lending on August 1st. ← Eating Disorders and Trauma History in Women with Perinatal Depression.